Publishing-related services -- for authors and those hoping to be, whether pursuing traditional or self-publishing opportunities. Especially geared to nonfiction and niche topics, and supported by aggressive efforts in obtaining publicity plus arranging for retail distribution/online availability with multi-pronged strategies for driving $ales. Also includes cross-promotion of related business-enhancing objectives. Can also assist with the creation of specialty ebooks designed for private distribution/direct sale as well as developing corporate partnerships for bulk sale opportunities. Specializing in highly tailored one-to-one business development (sourcing alliances, proposals, and negotiations); also uncovering specialty marketing opportunities to effectively reach niche audiences. 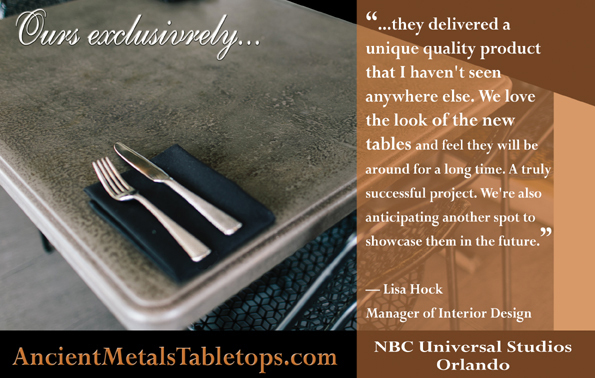 Recently created marketing that secured Universal Studios Orlando as a new client for a small artisan furniture manufacturer here in N. California -- with great results. 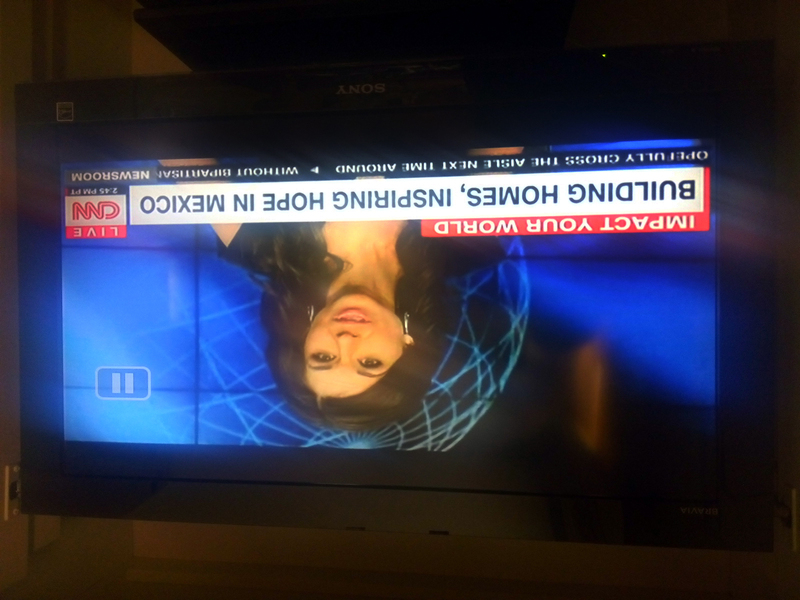 Sourced and pursued a special series of CNN's for a nonprofit client, Homes of Hope Int'l., resulting in two days of filming their organization on-location for this featured video segment and article for Impact Your World (also aired 5x on TV) during late March, 2017. Responded to a journalist's query from the Associated Press (Washington Bureau) and supplied him with information shared about a client's 14-yr. old daughter's political activism following the 2016 general election. Her daughter, Amellia, was quoted in the Associated Press's article entitled "Some voters, stung by election result, stirred to new action" -- in fact, Amellia and my client, DeeDee Marcelli (Celebrity Makeup Artist), were featured in 4 of the 6 captioned photos accompanying the article, and Amellia's individual photo was the lead for the story which published November 29, 2016. 2017 UPDATE: Having turned 15 on Trump's Innauguration day, the Associated Press got back in touch to request Amellia weigh in on his first 100 days in this ginormous feature article which was once again widely distributed nationwide on April 26, 2017, including in the Washington Post and New York Times -- her section of the lengthy article, which includes interviews and photos of 11 other individuals, also contains a link to her quotes in their November 2016 article. 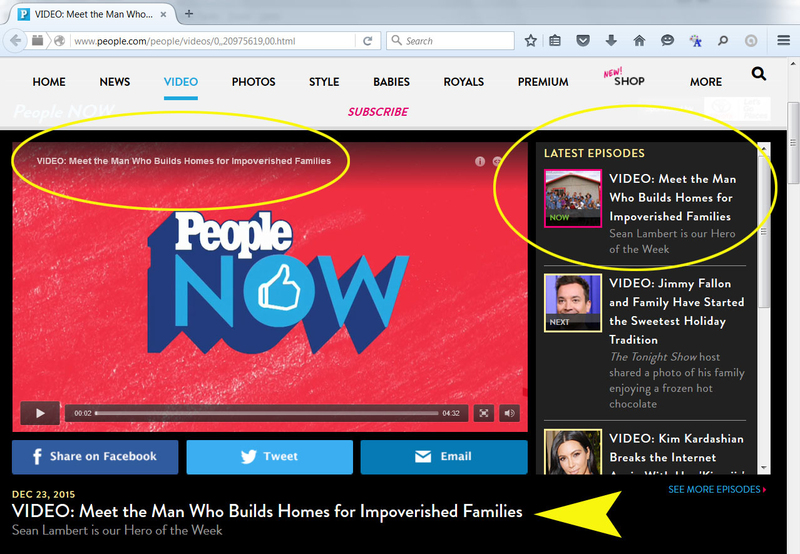 Earlier (12/31/15) feature profile article including the founder/president of the organization being named People's "HERO OF THE WEEK" (video debuted 12/23) and article featured on People's homepage (screenshot). Read article and view the 4:30 min. video interview plus secured top tier Christian as well as mainstream media for their 25th mega anniversary celebration. 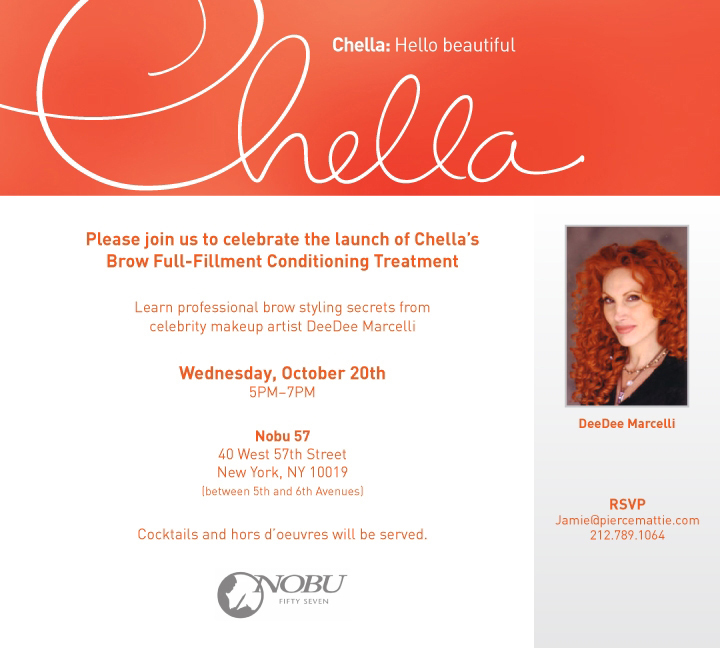 See details in the comprehensive Press Room we created on their behalf. 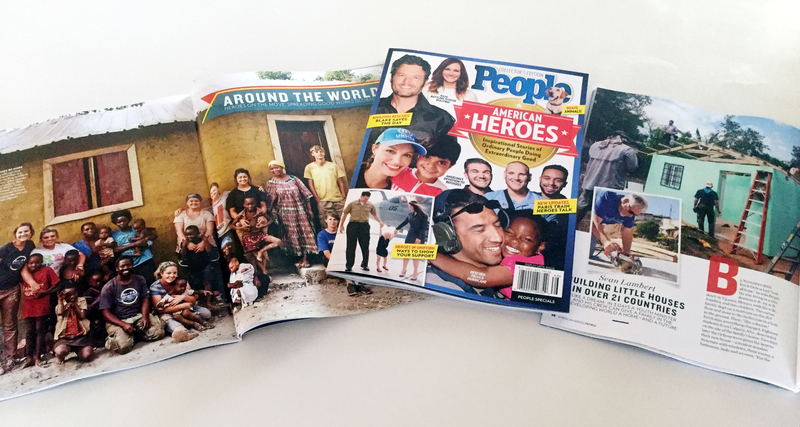 This was the first major media the organization's received in their quarter century of service to the poorest of the poor in third world countries. 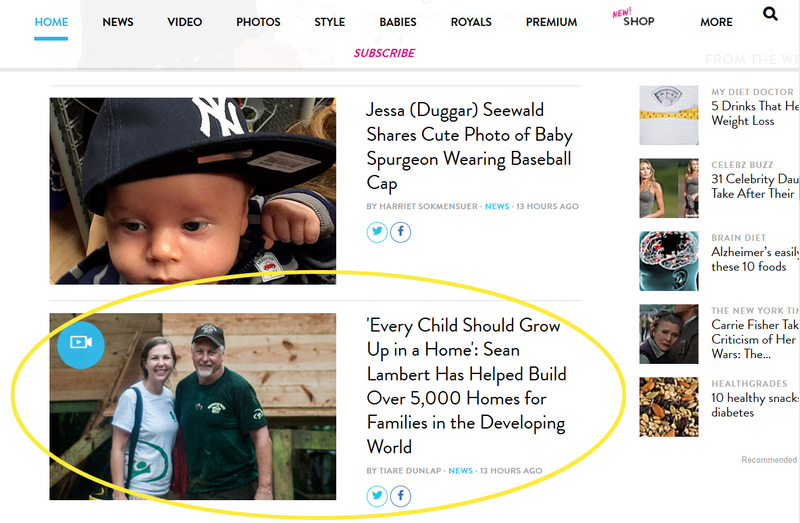 The article/video joins People's "Heroes Among Us" section. 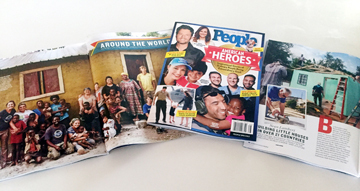 People.com is ranked by traffic in the top 130 websites in the U.S. and top 550 globally. 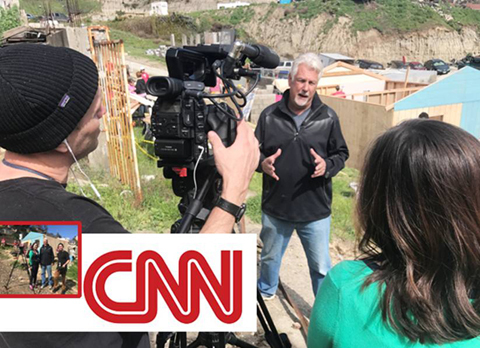 Also secured a testimonial from the U.S. Secretary of Commerce, Penny Pritzker, who had previously participated as a volunteer homebuilder with the organization. Obtained top-tier media on behalf of the Plumas County Tourism Council: 3-page FEATURE spread in the SUNDAY Travel section of the L.A. Times: 5 articles total including the cover story (plus promo teaser on the newspaper's FRONT page) -- main article similarly featured on their website. Writing projects (e.g. speeches, ghostwriting, white papers, corporate profiles, press releases, strategic correspondence, copywriting, etc.). Member, National Writers Union, American Writers & Artists (AWAI provides advanced copywriting training). * In light of the seismic shift in what used to be called the PR arena now incorporating the tidal wave of social media, when asked to work on new projects for clients, we utilize our expertise in crafting core promotional messaging & cultivating exposure for our clients via our customized print, broadcast & online publicity strategies -- focusing on regional and/or national media as well as specialty niche/industry publications. See a more comprehensive overview of our media credits on the Publishing Consultation page. In also overseeing integrated campaigns and consulting on best practices for social media outreach, we have a partnership with a stellar national PR firm with 20+ yrs. experience who have been on the forefront of developing and implementing innovative social media strategies for leveraging Facebook, Twitter, et al. Remember....ALL our services are RE$ULT$-driven -- so you're investing in your business's profitability when Renaissance works on your behalf! As our work is highly customized, pricing is individually tailored to each project - will quote. Hourly work is tracked in 15-minute increments and detailed invoicing is supplied monthly. Contracts over 20 hours receive 20% discount. For advertising projects, our agency discounting for ad buys (normally 15%) is passed along directly to you, the client. Deep discounts (up to 50%) available for nonprofit organizations (requires pre-approval to ensure shared values). Detailed marketing plan - pricing varies depending upon scope desired, will quote. Mini "action plans" also available. Comprehensive marketing plan typically includes in-depth interview of principal(s), independent market research, analysis of client's budget and resources for marketing, structured action plan with specific goals and timelines delineated. The sooner we connect, the sooner we can get underway on YOUR project's behalf...! © 1998 - 2019 Renaissance Consultations. All rights reserved.